Tosca Tonnino oversees Publicity and Events at bookshop owned by an elderly eccentric, Miss Carter. Tosca enjoys her independence, her seasonal love affairs, and aspires to the worldly insouciance of Ginger Rogers, that icon of Thirties cinema: talented, blasé, confident. 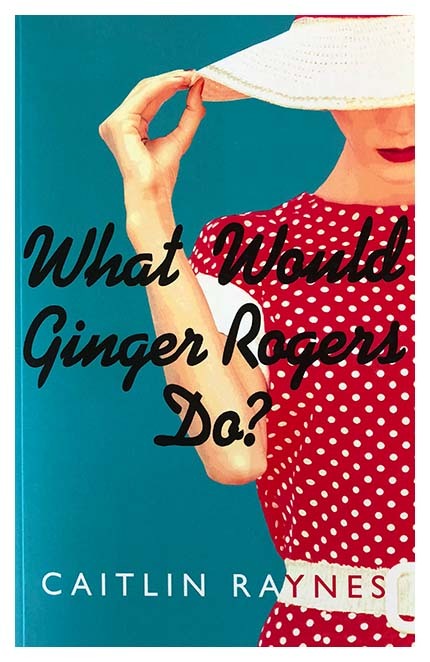 In any social or romantic dilemma, Tosca asks herself: What would Ginger Rogers do? A new hire joins the staff. Ethan James, an East Coast import from a wealthy family, is ironic, secretive, sometimes surly, often blunt, and fiercely competitive. However, he has no retail experience and no special love for books. Nonetheless, he enthusiastically hand-sells The Body Electric, a bleak debut novel of addiction, rehab and suicide among a privileged set of East Coast youth. The author, Win Jefferies, is an old school friend of Ethan’s. Tosca finds The Body Electric heavy on lurid, but short on depth. She finds Ethan mostly insufferable. Even worse, at the Booksellers’ Annual Meeting Tosca is stood up by an old flame. Tosca ends up alone, stranded in a hotel room with only a saccharine Lucy Lamont novel for company. In Lucy Lamont’s sunny Shannonville all lovers are true, all emotions are tidy, and much is whispered in gardens. There are seventeen Shannonville novels. A week later, a New York publicity firm unexpectedly phones Tosca: Lucy Lamont—the reclusive mega-million-selling author—wants to do a reading at Tosca’s bookstore on June 13th! Tosca agrees enthusiastically. Everyone—except Ethan—thinks she is a publicity genius. For reasons Tosca cannot fathom, Ethan arranges for Win Jefferies, author of Body Electric, to join Lucy Lamont on the 13th. A joint reading of two famous authors. Suicide and addiction on the same stage with tidy, charming Shannonville? Unthinkable! Appalled, Tosca tries to stop this travesty. She lies, cries, abases herself to Miss Carter, appeals to Ethan, all to no avail. What would Ginger Rogers do in this intolerable situation? Her answer will alter the rest of Tosca’s life.